October 1953, Drakenberg Mountains, South Africa. When the beautiful seventeen year old daughter of a Zulu chief, and maid to a rich white farming family, is discovered dead Detective Sergeant Emmanuel Cooper and his Zulu partner Detective Constable Samuel Shabalala are sent to investigate. Neither the Zulu chief, nor the white family, want the city detectives on the case. As they search for the murderer they discover that Amahle was headstrong and ambitious with secrets that were potentially explosive in a strongly apartheid society. The more they probe, the more they place themselves in danger, but neither is prepared to walk away from the case. 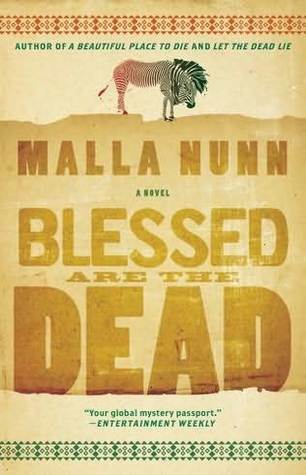 Blessed are the Dead is the third book in the Emmanuel Cooper series set in 1950s South Africa. Nunn has really hit her stride in this instalment, both adding to the overall story arc of Cooper’s life and providing a thoroughly engaging mystery. The characterisation is excellent, especially Cooper and his colleague Shabalala, but also the supporting cast, particularly Gabriel a white boy who is totally at home in the bush, and Nunn nicely portrays their interactions and social relations. Indeed, she excels at detailing the complex social structure within and between communities – Black, Indian, Jewish, White Afrikaans, White English – and the politics of policing within such strictures. There is a nice attention to historical detail and the sense of place is palpable with the reader being transported to rural South Africa and its dramatic landscape. The plot is absorbing and nicely executed. Overall, a very good police procedural that delivers on multiple levels.